REMOVE THE CLUTTER - ADD THE WOW! 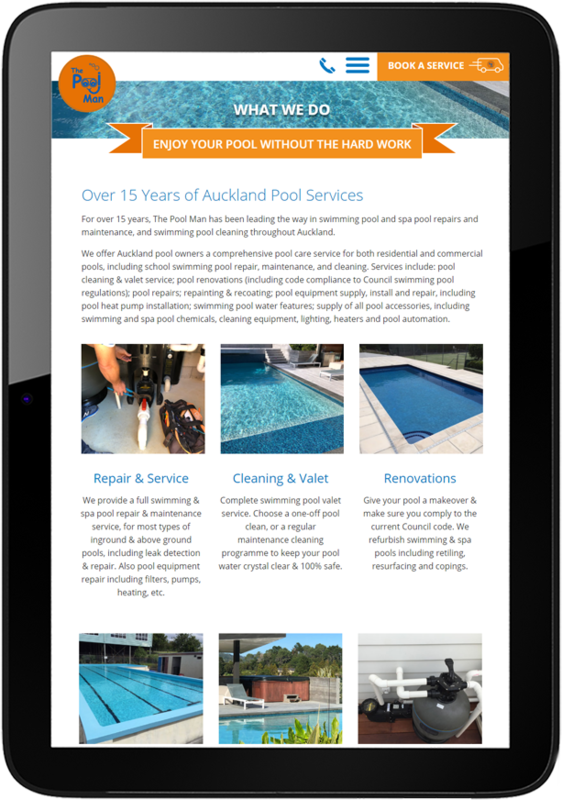 The Pool Man is a fully mobile swimming pool and spa service covering the wider Auckland region and beyond. 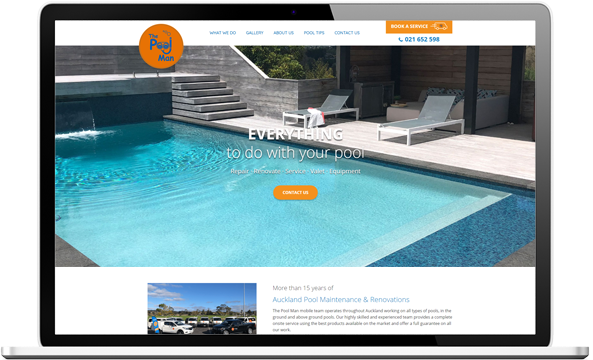 The company was created in 2003 and their website was outdated but it had great content around pool cleaning and valet services which they were getting traffic for. 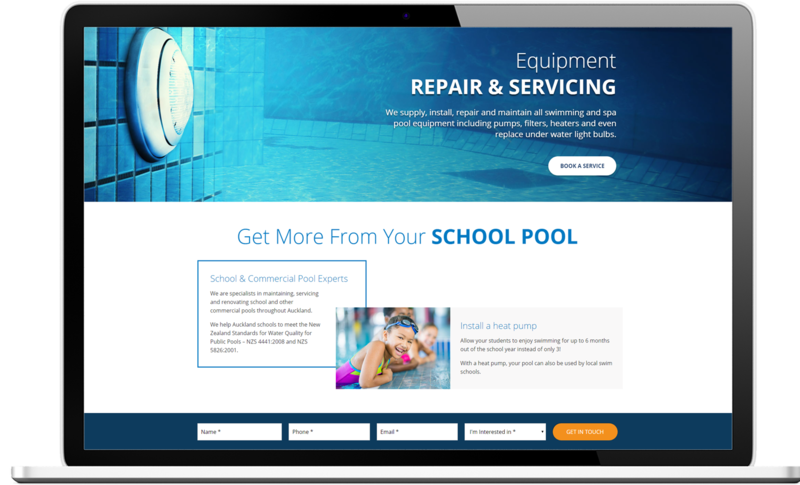 The client wanted to put a new emphasis on their pool repair and renovation services and target more school and commercial pools. 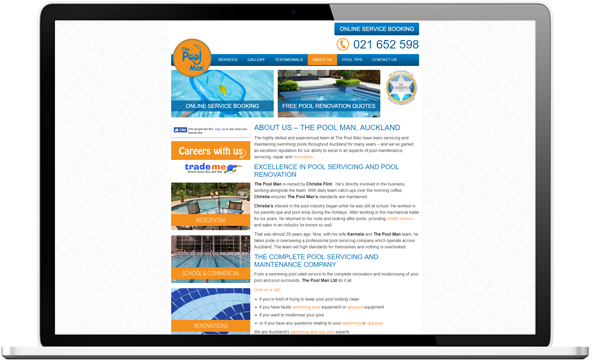 High quality Before and After imagery with a real WOW factor was incorporated to really communicate the great results achieved from The Pool Man’s services. Bold, high-contrast call-to-actions were strategically placed on every page to make it easy for website visitors to convert into customers.